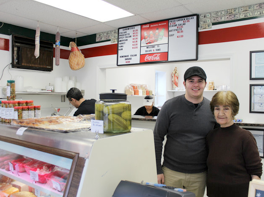 Lexington Square2 and Lexington Place would like to welcome Soluri & Sons Italian Deli to the Bridgeport neighborhood. This deli opened just last week and is an easy 5 minute walk from the Lexington community. They also deliver locally. The original deli was open for 5 years at 31st and Wells during the 1990’s. Now located at 3549 S. Halsted Sreet, the deli is one more addition to the growing variety of restaurants and shops that have opened recently in Bridgeport. It is a family run restaurant with Saluri working with his two sons, Giovanni and Peter. The menu is simple but satisfying, featuring homemade sausage and cheese. Lexington Square2 and Lexington Place are very excited to see this great addition to the neighborhood and can’t wait to see lines out the door. 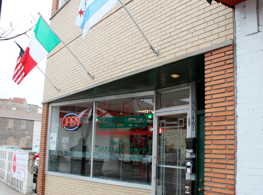 Soluri & Sons Italian Deli is open 10 a.m.-6 p.m Monday-Friday, 10 a.m.-5 p.m. Saturdays, and 10 a.m.-2 p.m. Sundays. They can be reached at 773-247-8777. Come tour your new home at Lexington Square2 or Lexington Place and save room for lunch at Soluri & Sons Italian Deli!